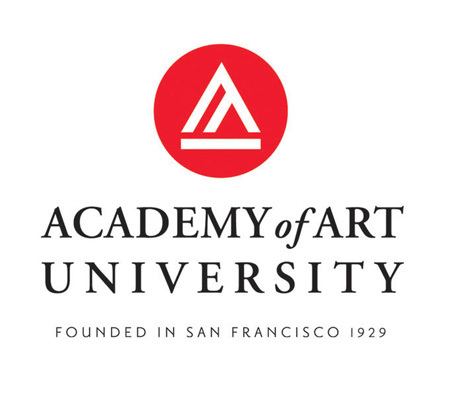 I’ll be giving a talk at the Academy of Art in San Francisco this Thursday evening, March 18th. I’m going to be covering a lot of ground — the talk is 2 hours — mostly talking about background, inspiration and process along with a question and answer period. The talk is limited to students (AAU students get in with ID) but the Academy has given us 20 additional seats to give away on the blog. If you’re interested in going just comment on this post and be sure to leave a valid email in the “email” field (email will not be published). We will then contact you with full details for the talk and get you put on the list. Good luck! Hope to see you Thursday. I’d love to attend as well! I’d definitely like to get in on that. Totally interested in going, can i get space for 2? I’d love to come! May I get 2 tickets? I would love to be there even though it seems I am the 22nd person to respond. Fingers crossed for a seat! I can make this event! And…I’m an AAU graduate…I’d really like to attend. Thanks. craig: as an AAU grad, you’re eligible to come to the event. bring your old student ID or other “proof”. Would love to go Scott, i work 2 blocks away too! I’m in, if there’s an extra ticket. I’m very interested if there are any tix left over. someone please tape this, for the love of god! I would love to come! Thanks! I would be happy to record it with my h4n if that’s okay with Scott et al. I would LOVE LOVE LOVE to go. Right down the street from me too. I would love to go if there are any extra tickets. I really hope 19 people before me decide they can’t go because I really want to go. I was actually going to the city this thursday for an AIGA event anyways. So if I get on the list for this I will go here instead. Hope I get one. does that mean there’s some way of me getting in with her? I just moved to the bay area, what a treat this would be. would love to be in the audience for this one! Would love to attend. Hopefully they’ll be some cancellations. Oy, I think I’m number 44. Happy seating for me. I saw you when you gave a talk in sac for ADAC. Picked up two of your posters then. You’ve changed a lot since then and I’d love to see how your talks have changed too. Cheers! Wow! I don’t remember any speakers as cool as this coming to AAU when I studied there. Is there any way you could post your talking points, Scott? I’m not in the area anymore, but would love to hear what you have to say about your inspiration, process, etc. For god sakes, sign me up! Please! Hi I attend AAU and was wondering when and where IE the time and what building/room? I would love to be there sorry I guess our school isn’t the best at spreading the word as in I didn’t even hear about this. Good thing I read your blog. I will definitely pass this info around to other students. Thanks for coming down. Hi all: We’re super-excited to host Scott this Thursday as part of the Graphic Design department’s “79DesignSpeak” — our own mini design lecture series, now in it’s 2nd season. As many of you might know, Alex is one of our Graphic Design graduate students at the Academy — hopefully, he’ll take the mic Thursday for a minute and let you know how he got hooked into the ISO50-world. Presently, the series is targeted to a Graphic Design audience and not pimped school-wide. But if you’ve been on our floor, you’ve seen the posters. To answer a few questions: (1) The event is a “closed” one — meaning, it’s not a public event and is open to current students, faculty and alums. (2) The building (79 New Montgomery) is secure (guards, etc.) and only folks with an Academy ID or who’s name is on the guest list will be allowed to come into the building, (3) The event will be recorded, but for internal purposes (i.e. : for online GD students) and that recording will not be available publicly. (4) Former students are “alums” — meaning, with proof, you could get into the lecture, but you’ll not be able to bring your extended “family” with you. Sorry. Alex and I thought up the idea of “guest seating” via this reply feature as a way to let Scott’s fans (specifically those quick on the trigger) in to see Scott in person. The only thing we ask is that you think of it as what it is: being a guest in someone’s space. We’re thrilled to host Scott’s fans and hope you’ll have a great time while you’re here. Hopefully, it’s also incentive to load this blog into your RSS feed or otherwise check it out every 32.6 minutes. Please do be respectful if you’re planning to record or photograph during the event… ideally, we’d ask that you not do that (yes, really), but think of a wedding you’ve been to where the photographer was always up in everyone’s stuff… not a fun wedding, huh? Don’t make this like that. Help us make it an enjoyable, relaxing evening full of great design and cool music. Also, make sure to check out Scott’s work in the 79NM gallery which will be up for two weeks. Hopefully, Alex will put a post up about that soon, but there’s a number of high-quality oversized prints hanging there for your optical enjoyment — there’s some great sculpture, too… The Gallery is open to everyone during normal business hours, so check it out. Okay, I’m out – my spot is open to the next in line. ACK! Didn’t see this until now! Hopefully you’ll do something similar soon. I would love to sit in on this event. I love the blog and subsequently, you I suppose. Hahaha. Anyways, if there is still an open seat, I would really appreciate an invite.